​AC Milan have provided an official update on the welfare of Cristian Zapata following his enforced departure from the club's Serie A clash with Genoa on Tuesday. 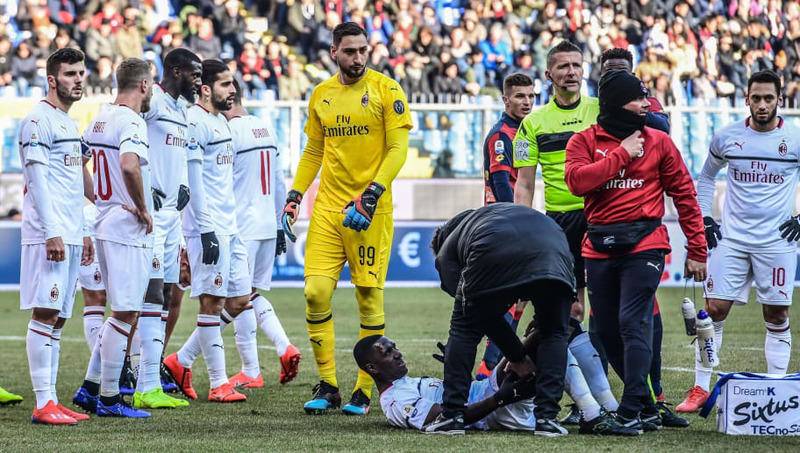 Zapata was carried off the pitch in the 14th minute of Milan's 2-0 victory against Il Grifone and the Milanese club have revealed the defender has suffered a lesion in the muscle of his right thigh. The ​official statement read: "AC Milan announces that today Cristian Zapata underwent an MRI which showed a lesion of the biceps femoris muscle of the right thigh due to the injury occurred during the match Genoa CFC vs AC Milan." The Colombia international has been a useful member of the squad this season, making 17 appearances across competitions, and after slow start following his return from injury, had completed 90 minutes in eight of Milan's last nine Serie A encounters. ​The Rosseneri won the clash with Genoa thanks to late goals from Fabio Borini and Suso, but the key talking point from the game was the enforced absence of both teams' strikers. The home side were without Krzysztof Piatek ahead of his proposed move to the visitors, with Milan in turn without ​Gonzalo Higuain ahead of his own transfer to Chelsea. Gennaro Gatusso's side are back in action against ​Napoli this weekend in the league, before taking on Carlo Ancelotti's Gli Azzurri once more in the Coppa Italia quarter final. Both games will be at San Siro.